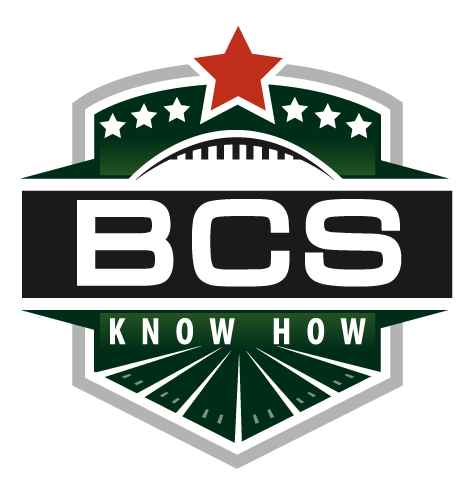 With the release of the final BCS standings, the Bowl Championship Series has spoken, and we’re headed for the first-ever rematch of a regular season game in the BCS title game. LSU and Alabama did enough in the eyes of the voters and the computers to do just that, and come Jan. 9, the entire country will be tuned in to see whether LSU’s defense can once again stifle Alabama or if the Crimson Tide can turn the tide on the Tigers. Oklahoma State lands on the outside looking in, instead headed off to the Fiesta Bowl to take on a very game Stanford team, who finishes in the No. 3 slot. No. 5 Oregon, boosted on the power of huge leaps in human poll support, is on its way to the Rose Bowl to take on No. 10 Wisconsin, whose Big Ten title game victory over Michigan State brought the Badgers back into the top 10 and ensured one of the best looking matchups among the BCS bowls, at least on paper. The four teams that follow Oregon were all left out of the BCS picture, as Arkansas, Boise State, Kansas State and South Carolina will have to settle for non-BCS bowls after commendable seasons in three tough conferences. A surprise berth for No. 11 Virginia Tech in the Sugar Bowl certainly ruffled some feathers, but the Hokies had an impressive season, and will face off against No. 13 Michigan in New Orleans on Jan. 2. All in all, the BCS standings once again brought about debate, consternation and excitement until the end. Whether you agree with the decisions the system made, it’s what we’ve got, and we’re not headed for a slate of 35 bowl games — some duds and some spectacular matchups — that will certainly provide for entertainment value throughout December and January. Enjoy. Well, I think you know. This entry was posted in BCS Rankings, Rankings and tagged alabama crimson tide, bcs analysis, BCS Rankings, bcs standings, bcs week eight, december 4, featured, lsu tigers, oklahoma state cowboys, strength of schedule, week 14. Bookmark the permalink.